I’ve told you all before how much I adore my jean jacket. It really is one of my very favorite things in my closet. Not does it have sentimental value (I’ve had it for 12 years! ), but it’s just one of the most versatile pieces I own. I wear it with so many different kinds of things – shorts and tee, cocktail dresses, you name it! It’s lightweight enough for a summer jacket, but it also makes a great layering piece during the cooler months of the year. I’ve seen so many different washes lately – everything from dark to super light. (If you’ve already got blue taken care of, take a peek at this white option from Gap.) Here are a few options to get you started. I love so many items in your “get the look” that it's hard to mention them here! 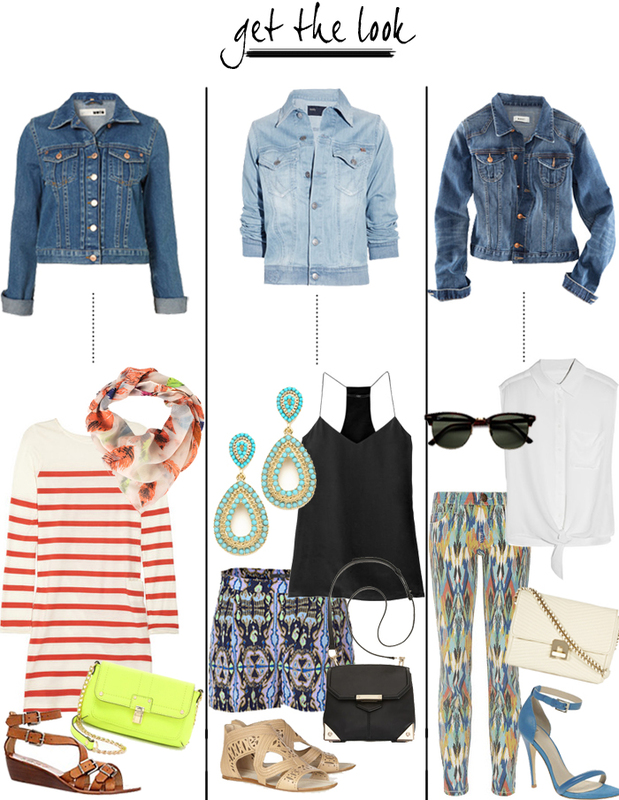 Those printed jeans, the shorts, and the striped dress are among my faves! Oh yes, just pulled out my old J.Crew faithful! I think the Levi's Trucker one is pretty cool too, but will definitely check out your options! I wear my jean jacket constantly (I'm wearing it as I type). It's so easy to throw over a summer dress or patterned shorts. 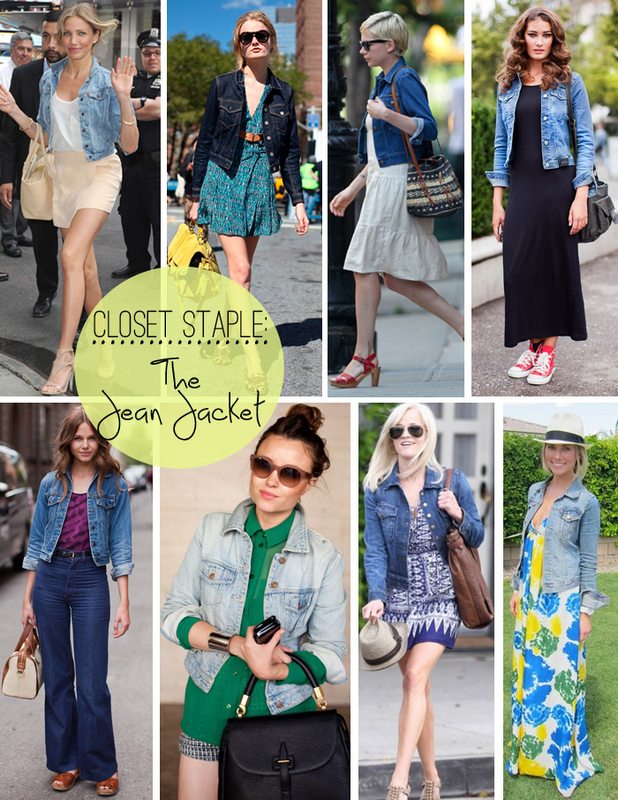 I think a denim jacket is the the one closet staple I have yet to buy. I have no idea what's taking me so long. Thanks to this post, this will change very soon! I definitely love the pairing with the J Brand jacket! Definitely agree! My mom just found a short-sleeved one for me at goodwill for $5, and I just love it! The outfits are great that you put together.